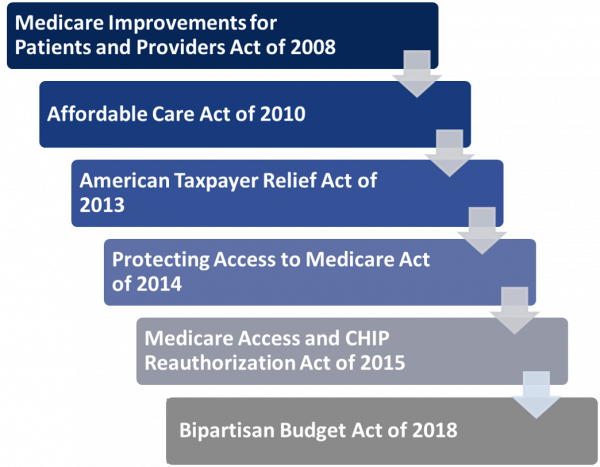 On July 15, 2008, Congress enacted the Medicare Improvements for Patients and Providers Act of 2008 (MIPPA), Pub. Law 110-275. MIPPA is a multi-faceted piece of legislation containing several important provisions that directly changed the Medicare program and allocated federal funding (through Section 119) for State Health Insurance Assistance Programs (SHIPs), Area Agencies on Aging (AAAs), Aging and Disability Resource Centers (ADRCs), and to a technical resource center, which is run by the National Council on Aging (NCOA), to provide outreach to low-income Medicare beneficiaries to increase enrollment in Medicare low-income assistance programs. One major goal of MIPPA is the continued improvement of Medicare access and affordability for low-income beneficiaries. In collaboration with national stakeholders in the aging and disability networks and with feedback from local Centers for Independent Living, NASUAD has developed and disseminated outreach materials to promote Medicare low-income subsidies to beneficiaries with disabilities. Get Help with your Medicare Costs! NASUAD developed a call for collaboration media campaign intended to educate and ultimately enroll more people in the Medicare Low-Income Subsidy programs. NASUAD partnered with national and state disability organizations to reach people with one or more impairments that qualify for disability benefits. An overview of resources for outreach and creative ways to publicize information for consumers used in the campaign is available here. NASUAD collaborates with several national stakeholders in the Aging and Disability Networks to gather information about local-level MIPPA outreach from the I&R Network, ADRCs, AAAs and CILs. Based on information gathered, NASUAD develops educational materials highlighting promising practices in MIPPA outreach. NASUADiQ is NASUAD’s online learning center that offers free educational courses on topics related to the aging and disability networks. A course is available on “The Role of MIPPA: Helping Older Adults and Individuals with Disabilities Afford Medicare”. This module provides participants with information about MIPPA, the Medicare program, and the Medicare low-income subsidies. The module also provides key referral resources for additional program information and enrollment assistance. To access the MIPPA course, please visit NASUADiQ.org.